Are you looking for ways to sneak in healthy vegetables in your kid’s food? Me too! These days, it’s getting so difficult to make the kids eat healthy stuff. Same with my kids too! So I always sharp my brain to find ways to sneak in healthy vegetables into their food. This curry is one among those sneak ins. My kids like potato curry so much, so thought of making it healthier by adding some celery to it, but not visibly. Celery is an excellent source of Vitamin C, which helps build a healthy immune system. Grind together celery + green chilies + cilantro into a fine paste. Add little water if needed. Keep aside. In a pressure pan, heat oil and add cumin seeds. Then add chopped onion + tomatoes + ginger paste + garlic paste and stir well. Later add curry leaves and rasam powder along with turmeric and mix well. Now add the chopped potatoes and the celery paste and mix well. Add a glass of water and salt. Cover and wait for 3 whistles. When all the pressure is gone, check if the curry is thick and good. If it turned out so watery, mash some of the cooked potatoes with the back of a spatula. It helps to make the curry thick like gravy without ruining the taste. Adjust salt. 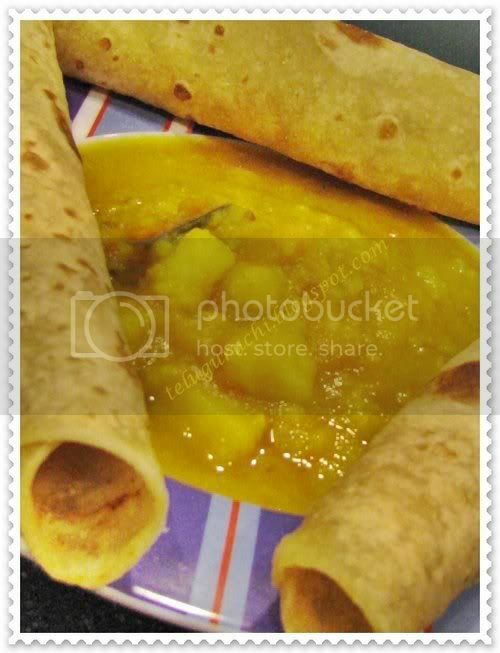 Enjoy hot with rotis/chapathis. This curry tasted so great with the subtle taste of celery. But I must tell you celery didn’t dominate the original taste of potato curry. You can’t even see the green color of celery in the curry! Nobody guessed I added celery paste in that! Note: This curry can also be made in a regular pan in the same manner. This is my contribution to “Cooking for Kids Event- Potato”, hosted by Deepa Hari. ‘Cooking for kids’ event is originally started by Sharmi of Neivedyam. Uma,very innovative and halthy recipe. surely will give a try, as you said everybody likes potato. Perfect for the event. wow nice color...looking delicious uma..
Wow that is so clever and sneaky to add celery into the potato dish. Why was i not so clever when my daughter was younger.Looks yumm with those chapties. Ha ha good way to get the celery into your food. Nice robust curry! Can you believe I eat them raw? They are excellent for acidity. My children eat it up in salads. I have something similar to this on my blog - I had some leftover celery, used it in something and blogged about it. I don't remember what exactly, now. Good Idea Uma. I am surely trying this. Gravy looks lovely! Yummy combo! What a great idea to cook the mashed celery with the gravy... I usually just add it to soups or serve with hummus. Yet another interesting gravy :) Looks great! 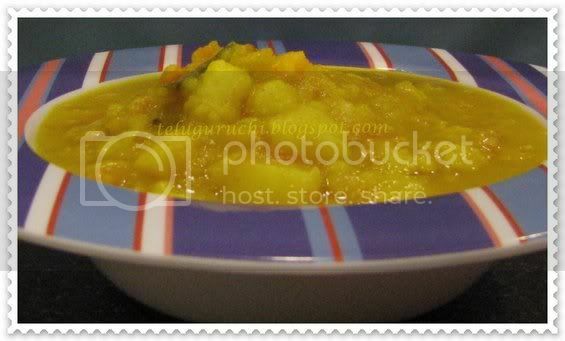 Excellent way of sneaking veggies, I can try this on my husband too :) Yummy curry Uma! Looks so delicious..Nice way of sneaking veggies..Lovely color.. I never made any kind of curry with celery.. good idea. it looks delicious. Great idea! Must have made a nice flavor. Thats a great idea Uma...no trace of celery...Nice way to get the kids eat them....Looks yum and healthy too...Thank you for the wonderful entry. Great idea, I love celery, that would be great sneak! Love the pic with Chappatis and curry. Sounds healthy. Curry looks delicious...perfect with rotis. nice color..nice pic..curry looks delicious n healthy too!! I love your chapathis.. which aata do you use? last pic is toooo good. nice presentation and the gravy, what to say? super creative! Celery is one of those veggies that I am not crazy about, although I do eat it occasionally. Putting it into a spicy curry is a great idea. Looks delicious. Seeing more potato recipes today.Adding celery is new to me..Looks delicious. looks kool..celery with potato..nice combi..
Great way to use Celery! innovative way of using celery. Never used celery this way. 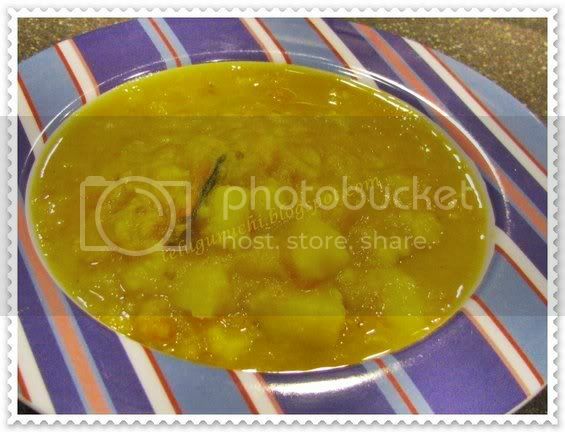 Awesome recipe wow potato curry in celery gravy, hummmm looks yummmm!!! Celery and potato, and tht too you ground the celery, must be tasting great. Looks lovely. WOW! I love potato curry! Color is lovely! wow! This is great! I tried your celery chutney and everyone just loved it! Now I can try this one and I'm sure everyone will be licking their plates!! LOL....you sneaky mom :) Curry looks fantastic!